Over the summer, Kim Ware's revolving band the Good Graces released a rocket of an album with Set Your Sights, a breezy romp through 90s college rock, folk, and roots rock. 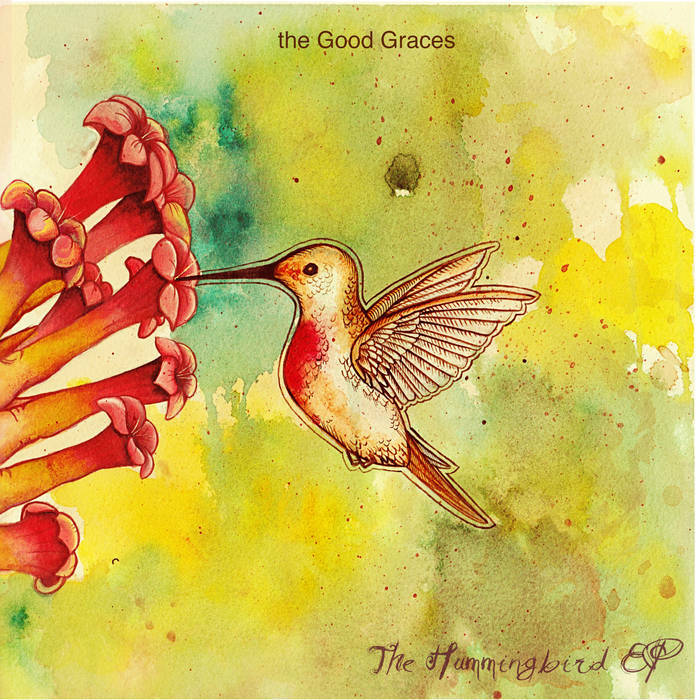 By contrast, The Hummingbird EP sounds like it was recorded in autumn. The four-song collection finds Ware in a more contemplative place. The songs are just as expertly crafted, but there's an urgent earnestness to them that tugs at your attention. "The First Girl" is a catchy confessional disclosing the insecurities of new beginnings. "X My <3" turns towards a more experimental frame that recalls 90s post-punk. "(I Should Probably Write a Happy Song" has a whimsical, jotted-down-at-the-kitchen-counter feel that showcases Ware's quiet wit. "Waiting" closes the collection with a country-tinged yearning that reminds us that we never quite outgrow our awkward youths. Thanks for listening! Help us help you find great music at our Patreon or drop a one-time tip in our Ko-fi cup!